Krishna Geetam recalls in verse the universally cherished Krishna story set in the cosmic perspective of Vishnu's Ten Incarnation- Fish, Tortoise, Bear, Man-lion to Dwarf-Boy, Parashu Rama, Raghu Rama and Bala Rama- and the prospective Kalki. The Krishna-theme, deriving from ancient myth, folk-lore and legend, growing in range, dimension and detail in Mahabharata, Harivamsa and Vishnu Purana, achieved a rounded fullness of recordation in Srimad Bhagavatam. 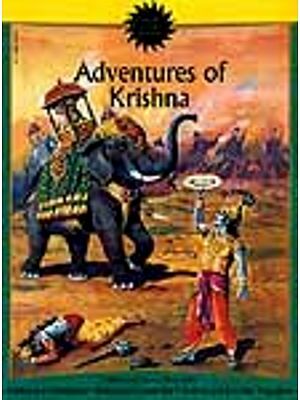 But Krishna Geetam is neither translation nor mere abridgement, and is rather meant to stand on its own as a fresh re-telling of the age long Krishna saga for a present-day English readership in India, and perhaps even abroad. Krishna Geetam lays selective stress on the Child Gokula Krishna, the Boy prodigy drawing upon the powers of his yoga maya, and the ravishing Flute-player of Brindavana, all leading to the Rassa Reveals on a shared Purnima moonlight night, when Radha joins Krishna to lead the Dance with the uncanny evocation of the love Divine, its universality and permanent currency in the Brinda Earthly Paradise. 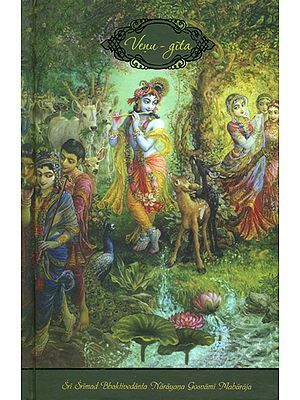 Radha is central to Krishna Geetam and in a manner quite different from the way the theme has been travestied in certain schools of post-Jayadeva Vaishnavism. In Krishna Geetam Radha is indeed Adya Shakti's Willed descent to collaborate in Krishna's Avatar-mission, and she is verify the heart and soul of the Flute-Call and is alchemic power to blaze forth the love divine and Delight of Existence. After the Rassa, while Radha and the Flute remain in Brindavana, Krishna moves, first to Mathura and after the killing of Kamsa, shifts to Dwarka and plays the role of prince, Warrior, House-holder, Peace maker, the Gitcharya on the fields of Kaurukshetra, and guides the Pandavas to victory over their Kaurava kinsmen. His avatar role ending, he withdraws from the world when hi is accidentally hit by hunter's arrow. 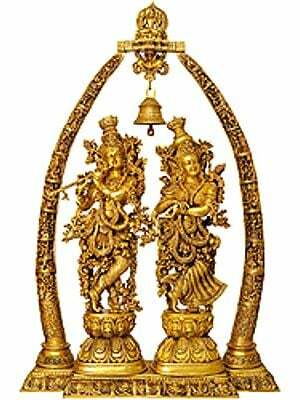 After Krishna, following the ministry of Mahavira and the Buddha, the Message of the Flute Call  The Gospel of Divine Love- finds inspired Apostles in Vishnuchitta, Gods Devi, Chaitanya Mahaprabhu, and Bhakt Meera. The light of being to the present day when, perhaps, Kalki is poised to usher in the decreed New Dawn and the sunrise of human concord and Delight of Existence. Born on 17 April, 1908, K.R. Srinivasa Iyengar took his M.A. and D.Litt. from madras university , taught at Valvettiturai, Belgaum and Bagalkot, and moved to Andhra University, Waltair, in 1947 as Professor of English, and was Vice-Chancellor in 1966-68. Elected Vice President, Sahitya Academy, in 1969, retired as Acting President in 1978. He was member, Press Council of India, 1971-75. Prof. Iyengar was elected Hon. Member of Modern Language Association in 1984, fellow of Sahitya Academy in 1985, Vice President, P.E.N. All India Centre in 1987, and Hon. Member of Authors; Guild of India in 1993. He has received the D. Litt. Honoris causa from Andhra, Sri Venkateswara and Nagarjuna Universities. He is Adhishtata of Sri Aurobindo Ashram, and recipient of Dr. Kalidas Nag Memorial Medal, and of the Dr. B.C. Roy national Award in 1991 for eminence in Letters. He has contributed numerous learned papers and reviews, many of which are collected in The Adventure of Criticism, Mainly Academic, Two Cheers for the Commonwealth, A Big Change, and Dawn to Greater Dawn. Several of his contributions appear in New Catholic Encyclopaedia and Encyclopaedia of Indian Literature. Late in life, Prof. Iyengar has turned to lyric and narrative verse beginning with Tryst with the Divine (1974), and followed by Leaves from a Log and Australia Helix, and the massive Sitayana (1987) and Saga of Seven Mothers (1991). His verse rendering of the Sundara Kanda Presents it as the Epic Beautiful. Prof. Iyengar has translated also Devi Mahatmayam and Atma Bodha from Sanskrit; Tirukkural, Tiruandiram and Tiru-Arutpa from Tamil; and the Vachanas of Basava and Akka Mahadevi. कृष्ण! कृष्ण!! के उच्चारण से कृष्ण प्राप्ति: Obtaining Krishna by Chanting Krishna! Krishna!